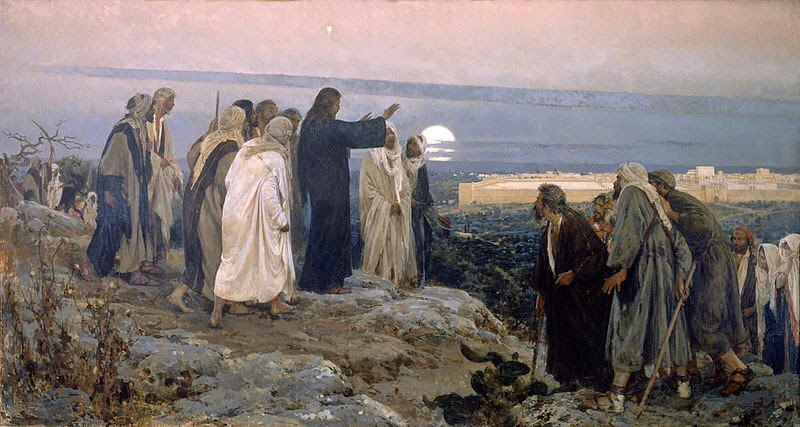 There's one terrible reason to believe the gospels were written late, and there are 7 historical reasons to believe that they were written early - Is Jesus Alive? Here’s a question that’s raised by skeptics from time to time. 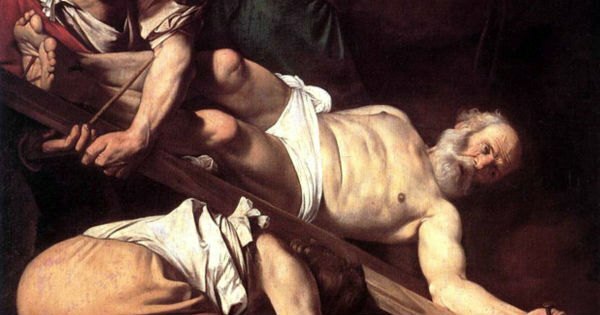 Why were the gospels written a generation after Jesus died? I mean, it’s only the “Greatest Story Ever Told.” Why did it take them so long to write this thing down if it was so important? How reliable can these stories be if they weren’t written until 40-60 years after the crucifixion? These are some of the questions skeptics raise against the gospels. What basis do they have? The consensus of critics tells us that the first gospel was written around 70 AD. The other three followed within the next 5 to 20 years. But where does this consensus come from? I’ll be straight up here. This dating comes from historians who rule out the supernatural. You see, Jesus had a lot to say about the destruction of the temple and Jerusalem. You can read about it in Mark 13, Matthew 24 and Luke 21. Critics say that these were words the church put into Jesus’ mouth to make him look more like a prophet. There’s a big problem with that view: If that’s the case, they could have made him look a lot more dead on. Look at the works of Josephus. He gets into gory details about some of the horror that went down during that dark time. Why not have Jesus get more detailed to show off what an amazing prophet he was? Yet Jesus ends up sounding a lot more apocalyptic. He sounds more like Jeremiah, Daniel, Joel, and other Old Testament prophets. That’s about all that the case for the later dating of the gospels has going for it. I’m serious. Just google it for yourself. The sauce is rather weak if you ask me. What about early dating? Are there any arguments that are in favor of it? Yep, there sure is. There’s a lot of things that are conspicuous by their absence when we look at Acts. Luke was the first church historian. And Acts is the sequel to his own gospel, which he says he was careful to interview eyewitnesses about. (Luke 1:1-4) There’s a lot of interesting details we find out about life and (hard) times of the early church. We read about the martyrdom of James the brother of John. (See Acts 12:1-3) We read about the martyrdom of Stephen. (See Acts 7:56-60) We read about the early church persecution of Peter and Paul. We follow Peter in the first half of the book, and then we get up close with Paul in the last half of the book. There are some big events that are missing from Acts that you’d expect to find. So let’s look together why scholars sans anti-supernatural bias believe the gospels were written early. 1. The death of Paul. At the end of Acts, Paul is under house arrest in Malta while having his own healing revival. But according to history, Paul is martyred in Rome around 64 AD. After basically being Paul’s biographer for a huge portion of the book, this seems like a huge event for Luke to fail to mention. 2. The death of Peter. Luke was also up close with Peter in Acts, so it’s also weird that he doesn’t mention Peter’s martyrdom in 65 AD. Again, we see Stephen and James the son of Zebedee’s deaths. Yet he fails to mention the death of the guy who preached on Pentecost and was such a pivotal figure in his gospel? It doesn’t add up. 3. The death of James the brother of Jesus. James was a huge figure in the church of Jerusalem. He’s mentioned several times in Acts. He’s also Jesus’ brother. We know from the Jewish historian Josephus that James’ martyrdom took place in 62 AD. Josephus thought it was a big enough deal to describe this event, and he was no Christian. This would be like Billy Graham dying today and it only being covered on the secular news and not CBN. 4. 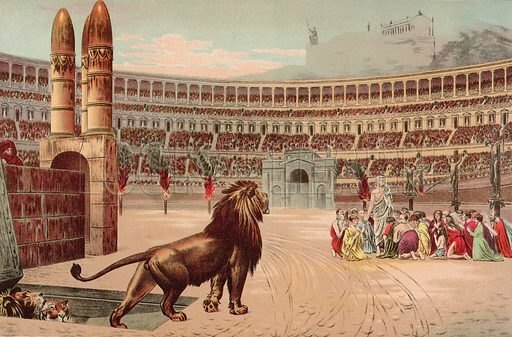 The severe persecutions of Nero. Rumor has it that Nero himself was to blame for a big fire that broke out in Rome. What’s an emperor to do when his capital city is in flames and it’s his own fault? Blame those spooky Christians, of course. Supposedly they’re incestuous, godless cannibals. Let’s use them as scapegoats! This happened around 64 AD. We can read about it in some detail in Tacitus. It’s a strange thing for Luke not to mention this. He mentions the church’s persecution other places, like Jerusalem, Phillipi, Ephesus and more places. But he doesn’t mention one of the more gruesome persecutions of the time? 5. The destruction of the temple and Jerusalem itself. I mean c’mon! This would corroborate with their Messiah’s prediction. You read over and over in the gospels of how the Messiah fulfills prophecy. Yet they are going to pass on an opportunity to mention how their teacher totally called it 40 years ago? 6. Luke was true to his times. Luke has a lot to say with issues of the day that wouldn’t have been relevant after the destruction of Jerusalem. For instance, there was the brouhaha about how to deal with Gentiles now being members of the church. There’s also mention of the division between the Palestinian and Hellenistic Jews. These aren’t things that would be relevant after 70 AD as Jerusalem was destroyed. You don’t see much mentioned about these things in other 1st century Christian writings, like 1 Clement, Polycarp or the Didache. 7. Paul quotes Luke as scripture. So here Paul quotes Deuteronomy alongside Luke, as this saying is found only in Luke 10:7. Scriptures refer to something written down, so this goes beyond oral tradition. And he’s just mentioning this in passing, he doesn’t explain. Meaning that they must have had some familiarity with what scriptures Paul was talking about. I understand some critics say Paul didn’t write 1 Timothy, perhaps for this reason. That’s another blog post for another time, but I don’ think there are good reasons to reject the traditional authorship. 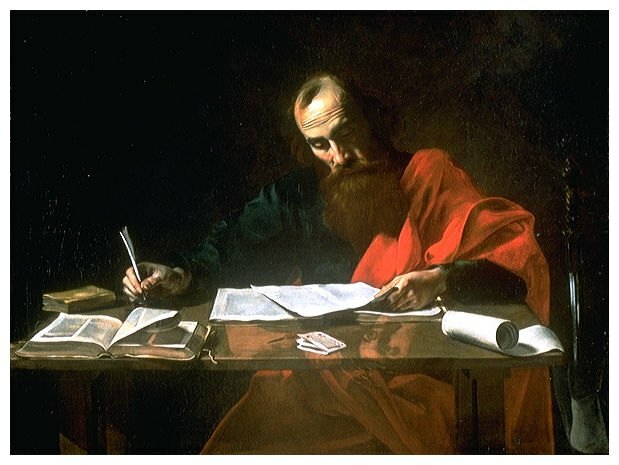 Regardless, critics generally agree that 1 Timothy was written somewhere between 55-64 AD. So what does this all mean for the dating of the gospels? If Luke used Mark as one of his sources, that means Mark was written before Luke. And with everything I’ve listed here, Acts was written before 62 or so. And Acts comes after his own gospel, of course. So we’re not talking about the gospel being written 40 years after the fact. We’re looking at a decade or two. If someone were to write eyewitness accounts of 9/11 today, we wouldn’t be suspicious of them. So we see that there’s only one reason to reject the early dating of the gospels, and it’s a biased one. And there are several good reasons to believe they were written early. Dodgy lawyers try to discredit a witness against their client. Likewise, these critics try and push back the dates to say that the gospels are too late to be trusted. But they say that because stuff like prophecy and miracles aren’t possible. It’s all kinda circular when you think about it. Are you defining faith the same way Richard Dawkins does or the way Jesus does?